A few months ago word got out that Xiaomi was going to launch its own official online store for the US and Europe this year. And now we’re actually very close to that happening. The Mi online store will go live in the US on May 18 at 7 PM PDT, and in Europe on May 19 at 12 PM GMT or 1 PM CEST. There are some huge caveats here, which you need to take into account. First off, like we told you before, this store will not be selling phones, just accessories. Second, while it will be available in the US as mentioned, in Europe you’ll only be able to order from it if you live in one of three countries: the UK, France, and Germany. Furthermore, accessory stocks will be limited once the store opens, which means there’s a good possibility that certain things will sell out very soon. After that there’s no telling when the company will replenish the stocks. And finally, note that your orders will be shipped from China, so they may not show up at your doorstep the following day. 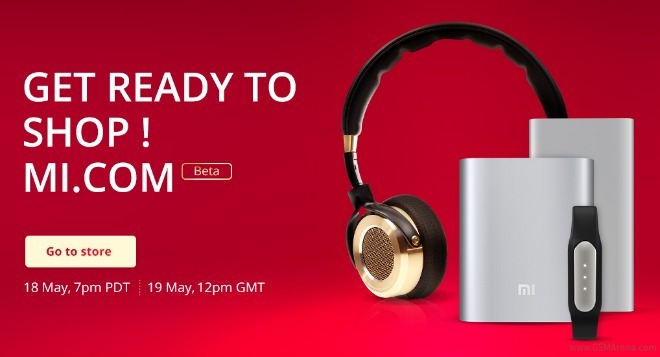 As for what will be offered in the store, expect to see the Mi headphones, Mi Band, and a couple of power banks (with capacities of 5,000 and 10,400 mAh, respectively). That’s it for now. Clearly then, this will serve as a test run for Xiaomi to see how well it can deal with international logistics and the likes. Hopefully the Mi online store will at some point sell smartphones too for Europe and the US, but we’re not there yet.